All repairs have been made to the Cape Meares Water Treatment Plant, and water is now being processed. Thank you to all the residents who conserved water during this emergency. Please conserve water until further notice. Replacement parts are being ordered for the filtration plant, until they are installed we are unable to filter water for the community of Cape Meares. The 200,000 gallon reservoir is nearly full at 19′ today. The Board of Commissioners for the Oceanside Water District meet the third Tuesday of each month at 1:00 PM and alternate meeting between the Cape Meares Community Center and the Oceanside Water Treatment Plant Office. Meetings are open to the public. Minutes for the meetings are published on this site. Each June the Oceanside Water District is charged with sharing a Water Quality Report with all of its rate-payers. 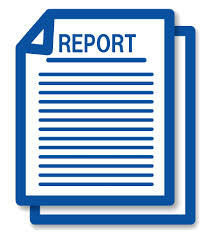 There is a cover-letter that accompanies this report and reviews activities from the previous year. On June 1, 2014, the Water Quality Report was sent to all Oceanside Water District rate-payers. The first of the links below is the cover letter for the report and the second is a copy of the actual report. If you do, you are required by the State of Oregon to install a cross-connection assembly for the protection of the entire water system. This assembly must be inspected annually by a certified inspector. As a service to our customers, the OWD staff will, at your convenience and at no charge, help you determine if a back-flow prevention assembly is needed for your home. The Federal Safe Drinking Water Act of 1974, and the statutes of the State of Oregon, Administrative Rules Chapters #333-61-070, and #333-61-072, state that the water supplier has the primary responsibility for the preventing of water from unapproved-approved sources, or any other substances, from entering the public potable water system. This means the Oceanside Water District is responsible for the protection of the public potable water distribution system from contamination or pollution due to the backflow or backsiphonage of contaminants or pollutants through the water service connection. 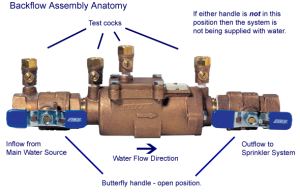 If, in the judgment of the Oceanside Water District, an approved backflow assembly is required at the District’s water connection to any customer’s premises, the Oceanside Water District, or its delegated agent, shall give notice in writing to said customer to install an approved backflow prevention assembly at each service connection to his premises. The customer shall, within ninety (90) days, install such approved assembly, or assemblies, at his own expense and failure or refusal, or inability on the part of the customer to install said assembly or assemblies within ninety (90) days shall constitute a ground for discontinuing water service to the premises until such assembly or assemblies have been properly installed. Ordinance 96-1 is currently being enforced for Oceanside Water District customers. If you are interested in reviewing all details regarding the ordinance click on the link below and view the PDF of this document.